Nearly 250 health professionals and researchers will gather in Ellicott City this month to mark a major milestone: ten years of dramatically reducing tobacco use across the state. The Maryland Quitting Use and Initiation of Tobacco (MDQuit) program was founded a decade ago when state leaders approached UMBC about creating a resource center for tobacco control to support the Maryland Quitline. 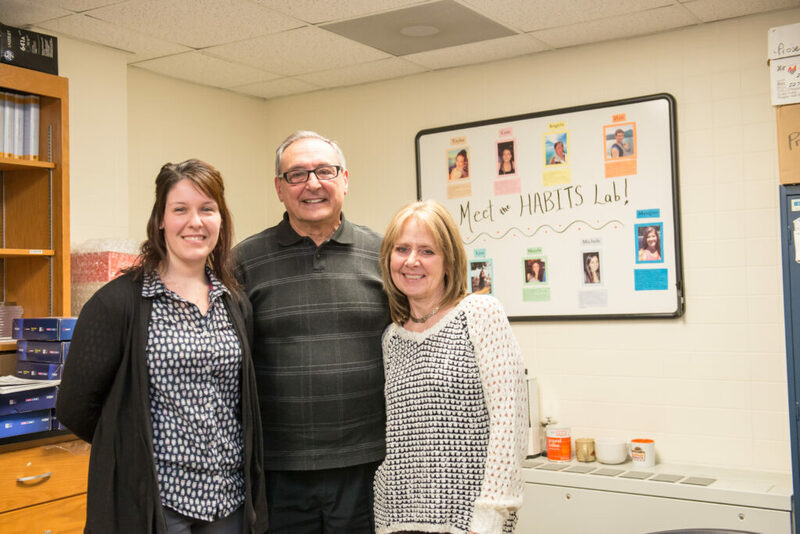 Carlo DiClemente, professor of psychology, worked to establish MDQuit as a resource hub for healthcare providers to access evidence-based tools for smoking cessation programs and to connect with one another to share best practices. Since MDQuit was created, with funding from Maryland’s Department of Health and Mental Hygiene and other organizations, the state’s smoking rate has declined from 23.4 percent to under 17 percent. As director of MDQuit, DiClemente leads a team of researchers and undergraduate and graduate students who provide trainings, identify trends and challenges in smoking, and share best practices for tobacco cessation. MDQuit had a major impact early on through supporting the Maryland Clean Indoor Air Act of 2007, as well as other smoke-free policies. More recently, it has focused on a coalition-building approach to address smoking cessation, including collaborating with the University of Maryland Francis King Carey School of Law Legal Resource Center. UMBC students working in the MDQuit program provide training to doctors, nurses, counselors, and other health professionals on the most effective tools for smoking prevention and research new trends in smoking, such as e-cigarette use and policies. While moving these research and training initiatives forward, the students also sharpen their clinical, community, and behavioral medicine research skills by learning how to approach interventions effectively from multiple perspectives. For example, MDQuit demonstrates particularly effective ways to encourage people to quit smoking by working with their family members or broader social networks. DiClemente is encouraged by dramatic changes in smoking rates over time. He also recognizes that tobacco products and consumption practices are always changing. “There’s a lot of money in promoting tobacco and smoking,” DiClemente says. “While we’re trying to get everybody to quit, they’re trying to get people to smoke.” To get Maryland to be “as smoke-free as possible,” he points out, MDQuit and other leaders in smoking cessation must continue to adapt. Image (l-r): Krystle F. Nickles, MDQuit project director; Carlo DiClemente, professor of psychology and director of MDQuit; and Terri Harold, MDQuit center coordinator. Photos by Marlayna Demond ’11 for UMBC.